Etsy For Animals: cool goods, do good! 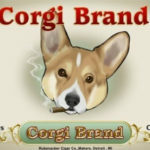 Looking for an out-of-the-ordinary holiday gift for a Corgi-lover? Check out EFA, Etsy for Animals’ shop listings! Etsy is a marketplace where artists and crafters sell handmade items directly to buyers. EFA — Artists Helping Animals is a group of more than 500 independent artists, independent craftspeople, independent vintage suppliers, and independent art and craft suppliers that combine their efforts to provide charitable relief to animals. There are lots of cute things here, and a portion of every dollar you spend goes to help some very good causes. p.s. Don’t forget to e-mail me those holiday photos of your dogs; the last two weeks on the blog in December will be devoted entirely to featuring readers’ snapshots of their Corgyn enjoying the season. Send them to thedailycorgi@gmail.com. 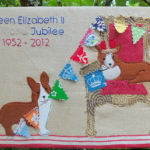 Sunday Shopper Week 4: More Nifty Corgi Gifties! 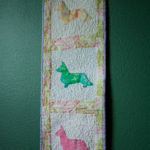 I joined etsy for animals – a great group of crafters! With every sale I donate a percent to Lakeshore Corgi Rescue, and also Mel Trotter Ministries to help the homeless and needy in Michigan. It feels great to assist those worthy causes with sales from my Corgi Cards and bandanas, especially during the holiday seasons.